New Jersey Governor Chris Christie has officially launched his bid to become the next president of the United States. The Republican said both political parties “have failed our country” and called for more compromise at a rally on Tuesday. 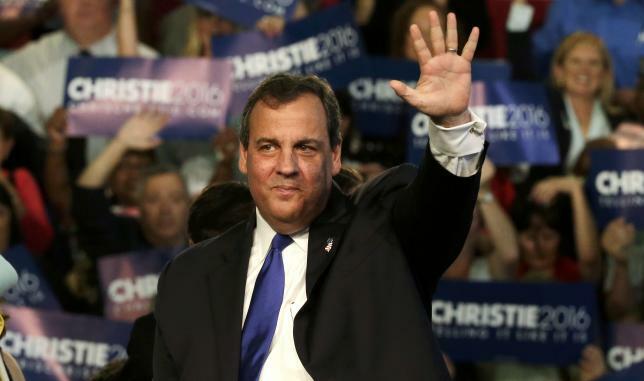 Many Republicans sought out Chris Christie, 52, to run in 2012, but he is now considered a long shot. He is the 14th Republican to enter the race for the party’s nomination. Chris Christie said he was running because Americans were “filled with anxiety because of bickering in Washington” and it was time for a strong leader to set the country on a new path. “I mean what I say and I say what I mean, and that’s what America needs right now,” he added. The outspoken governor said he was now heading out on the campaign trail to New Hampshire where he will hold the first of what is expected to be a series of town hall meetings with voters. Chris Christie is hoping to use these sessions to turn around his political fortunes and launch a comeback in the polls. His image was badly by a scandal in New Jersey known as “Bridgegate” that involved politically motivated lane closures on a busy bridge to New York. A close ally of Chris Christie’s pleaded guilty to conspiracy charges last month but he has denied any wrongdoing.